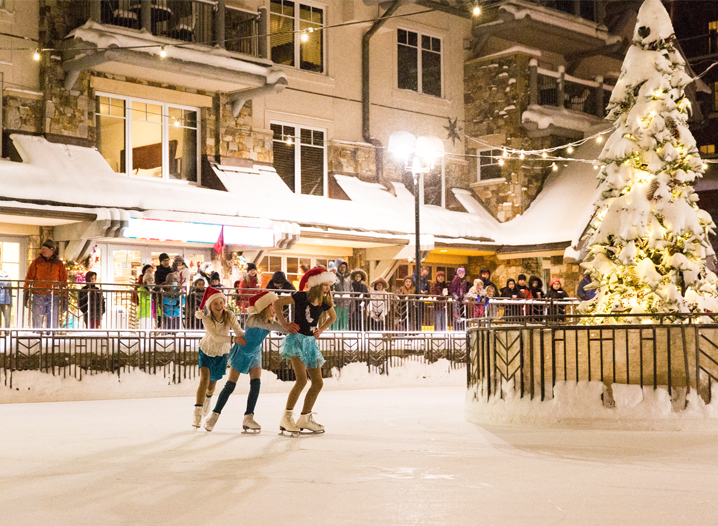 The Telluride Figure Skating Club will be presenting “North Pole on Ice” at Reflection Plaza from 6:15-7 p.m.
Mountain Village is proud to feature local ice skaters who are excited to show off their skills on the ice. The show is set to begin at 6:15 p.m. After our local pros leave the ice, stick around for the “coolest” ice skating party ever – all set to your favorite tunes. Please visit our blog more information about this year’s event.